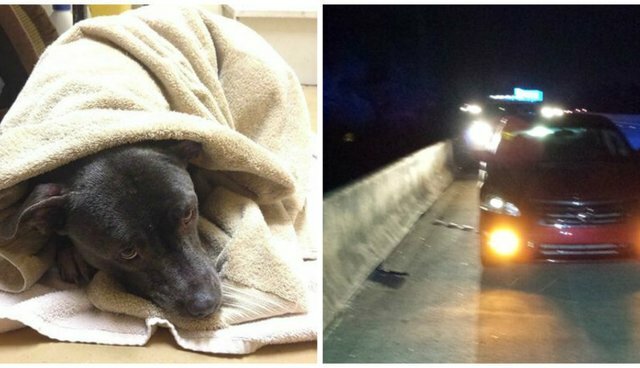 It was already getting dark on Tuesday evening when the St. Charles Parish Sheriff's Office in Louisiana got a disturbing call - a motorist had just seen what appeared to be someone throwing a dog off an elevated highway. 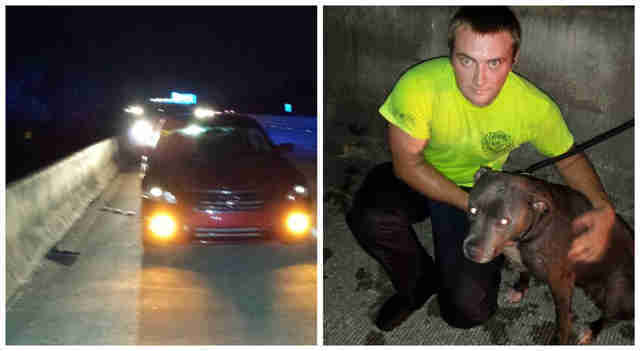 Officers arrived at the scene and realized there was a frightened female pit bull trapped in the swamp below. The interstate is about 20 feet high, Captain Patrick Yoes told The Dodo. It took 45 minutes for crews from the sheriff's office, animal control and the local firehouse to get the terrified, soaking dog safely to dry land. "It took a little while to scale down either side of the interstate," Yoes said. 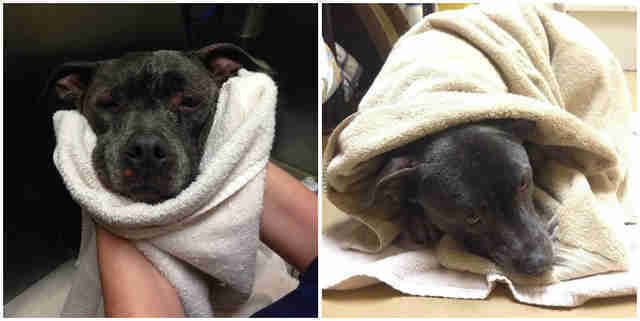 Amazingly, even though she had been tossed from such a height, the pittie wasn't hurt, just scared. She had no ID except for a Florida Gators collar - the only clue about her past. Now Yoes and his officers are searching for the people involved. "We're just trying to figure out who the owner is," Yoes said. "The owner may not even be aware of what happened." As for whoever threw her, they'll face the music - if they're ever found. "It's animal cruelty," Yoes said. Meanwhile the pittie, whom rescuers think is somewhere between 5 and 7 years old, is at the local animal shelter. And if no one comes to claim her, she'll be up for adoption. Hopefully she finds a home where she's treated exactly how she deserves to be treated - with lots and lots of love.